Are you feeling this burning desire to make all the rustic and beautiful pallet sofas and coffee tables? If yes, I can totally relate! 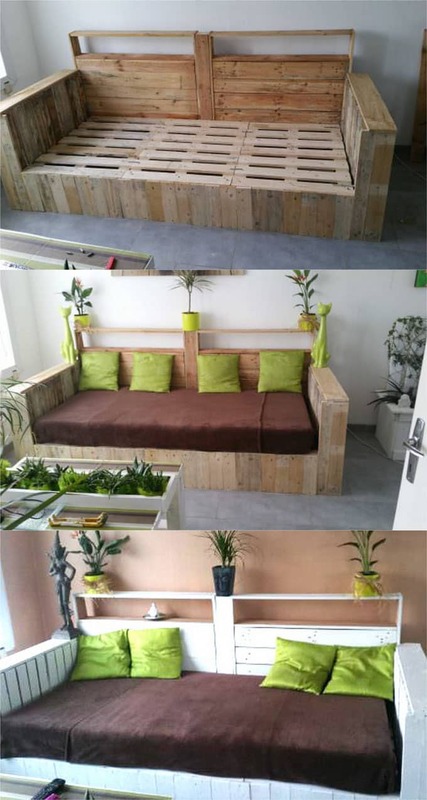 Part 1: Beautiful DIY pallet sofas, starting with simple ones that require little building skills. Part 2: Easy pallet coffee tables with gorgeous styles ranging from farmhouse, bohemian, to modern! 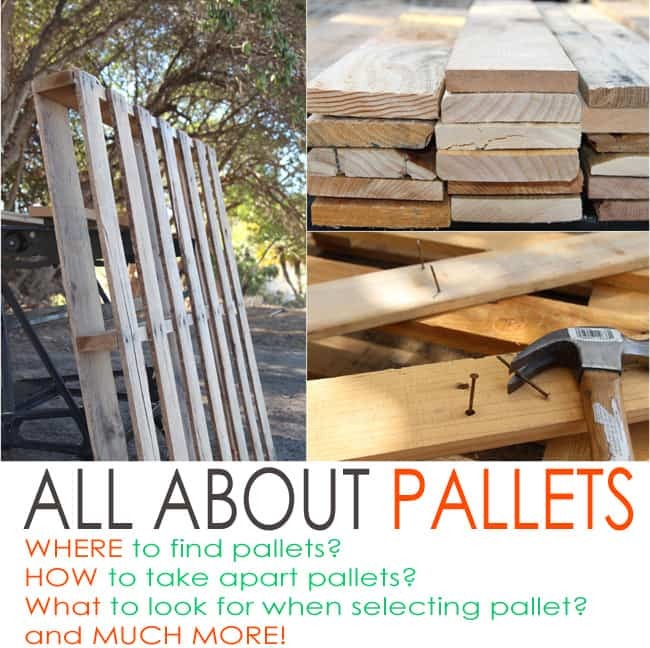 Before we start, here’s a helpful guide on where to find and how to select pallets, plus lots of tips on how to work with them! ( Some of the helpful resources are affiliate links. Full disclosure here. ) 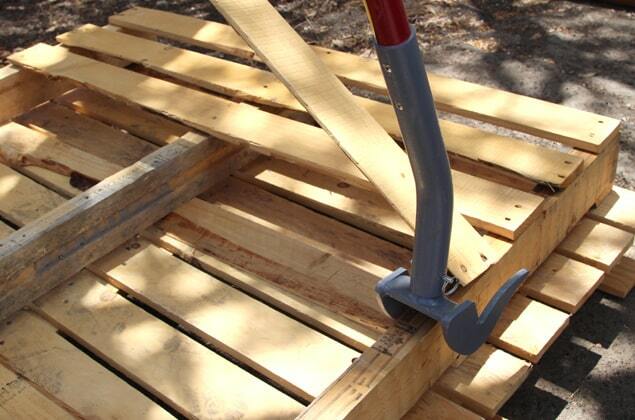 And THIS tool above: a Duckbill Deck Wrecker we got on Amazon , is our favorite for taking apart pallets! Let’s start with some easy pallet sofas. 1 . Simple DIY pallet sofa with stacked pallets. 2. Modern three Pallet Sofa. Talking about those pallet stamps, if you are totally in love with them, you would love this easy way to transfer stamps and images to wood with only wax paper and water! Transfer stamps and images to wood with only wax paper and water! 3 & 4 . 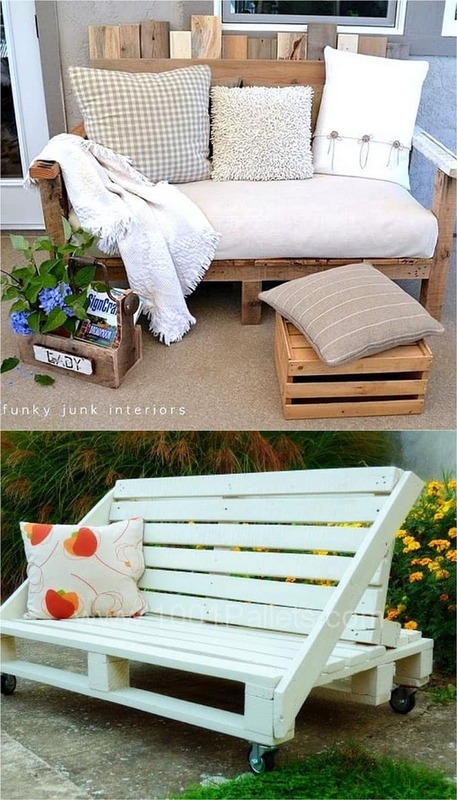 Boho pallet daybed sofas. Daybeds are such bohemian style additions to a space! Both pallet daybed sofas use two pallets as base. 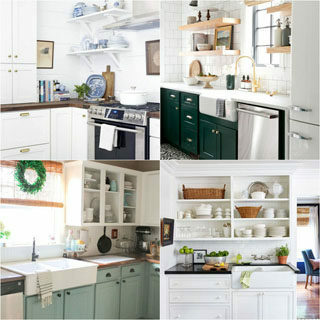 I just LOVE that old door in the one above! The one below uses galvanized pipes and flange on both sides to hold the pillows in. Add four 3″ to 4″ steel casters like these , so cute! 5 & 6. Pallet sofas and loveseats. My friend Donna at Funky Junk Interiors never fails to amaze me with her creativity and style: just look at her pallet sofa! This nicely designed white sofa is from 1001 Pallets , a pallet DIY community featuring so many great ideas you can browse for days! Feeling ambitious? This large pallet sofa found on here has a beautiful finished look, and the only one in the group that may take a very long afternoon to build! 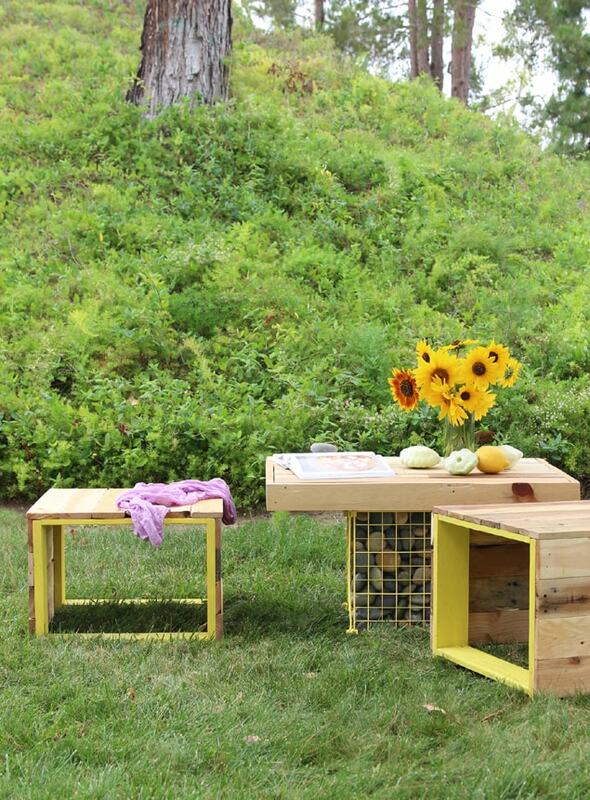 Update: here’s our pallet coffee table and benches tutorial! 8 & 9 . Two-pallet coffee tables. If you want to stain pallet wood in any color, try these home-made wood stains are super easy to make, long lasting, and low cost! Home-made wood stains are super easy to make, long lasting, and low cost! 10 & 11 . Easy DIY pallet coffee table ideas. 12. Pallet coffee table with drawers. 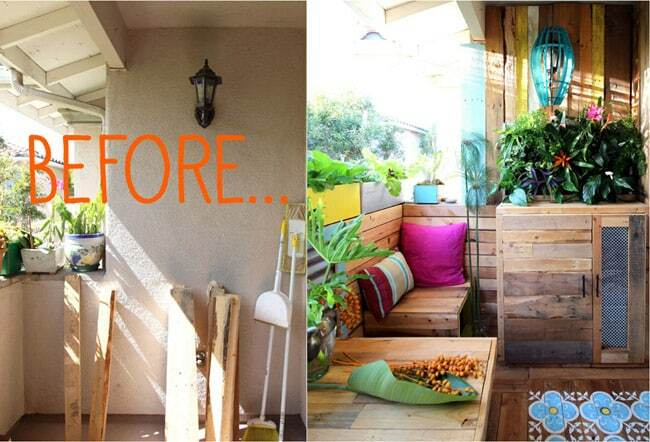 I will end today’s post with one of our favorite pallet projects: how we “remodeled” a generic rental patio into a much-loved outdoor room, with pallets! 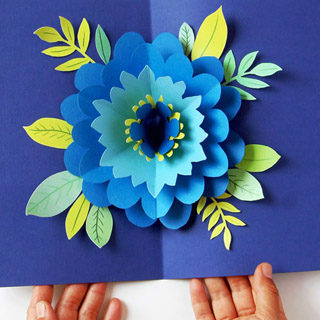 Very inventive and creative! What a fabulous option for space and budget restrictions. I love that coffee table! The pallet look is so adorable! Oh Ananda so lovely sofas…I love,it’s beautiful,simple,rustic,nice… You say any one can make this? It’s realy simple to make in few hours without many tools? and to find palets? Oh my goodness, they are all great! We have some pallets already! Off to build! 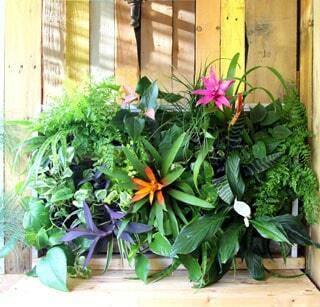 What a great way to use pallets! I especially love the coffee table! One of my best friends has made a few pieces of pallet furniture and it looks amazing! I really want to make a coffee table! Those are awesome! 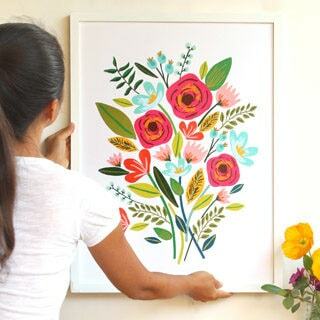 I would love to make one…or have my husband make one. 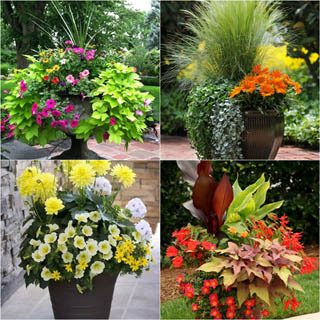 They would be great for our patio. Thanks for all the info on where to find them too. 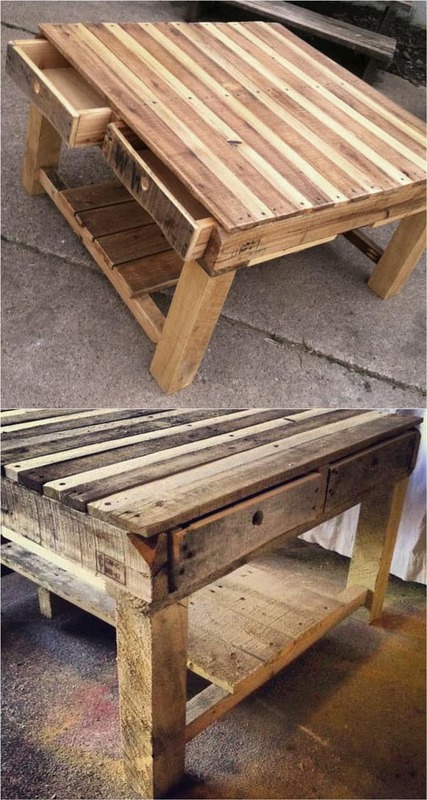 I love the look of pallet furniture, but I’m a little afraid of spiders hiding in it…lol. Maybe I’ll try a project for outdoors. These are adorable. They have such a relaxed and beachy feel. Ooooooo… I just love that outdoor sofa one! 🙂 Great ideas & terrific tips too. I’ll be honest when I say I was not into pallet much before. But your post really makes me change my mind. 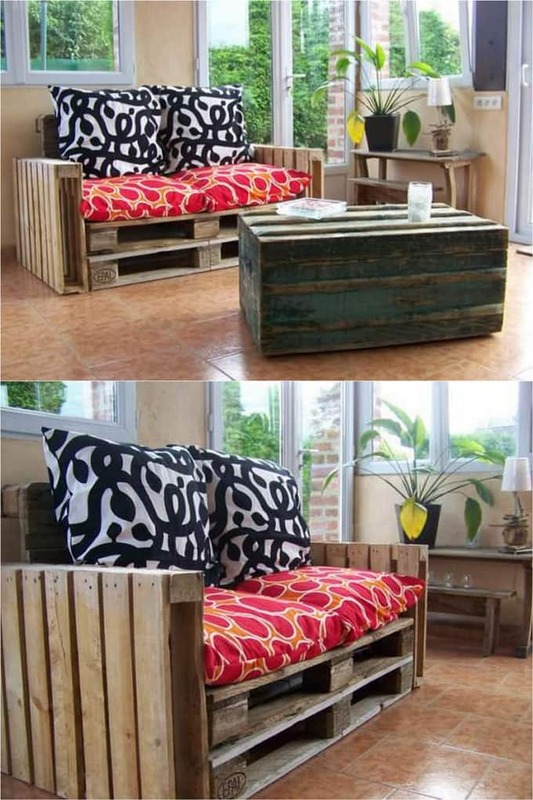 All of they look really awesome, especially the pallet sofa! What lovely and beautiful sofas. 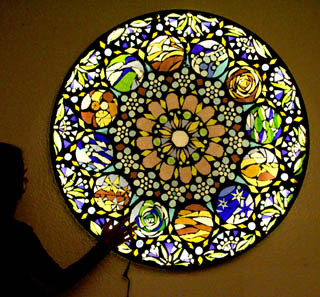 I would love to make one at the patio. 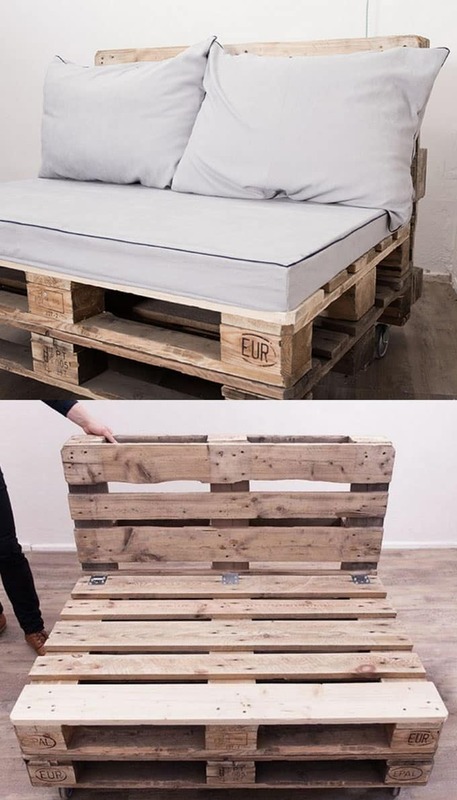 It can help me save money ’cause pallets are cheap. Thank you. Great idea! Your post is really useful especially for a new DIYer like me. Thanks a lot for sharing! I know a guy who’s got access to bucket loads of pallets like that. 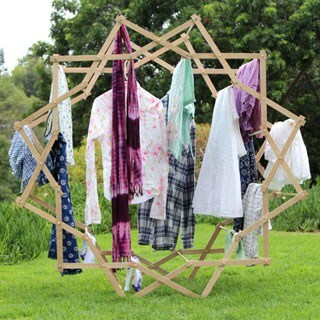 It had never occurred to be that you could actually put those to good use in a stylish way like that. I’ve got half a mind of building my own garden furniture with a few of those pallets. Thanks for the idea! Whoa! Such creativity and inspiration. 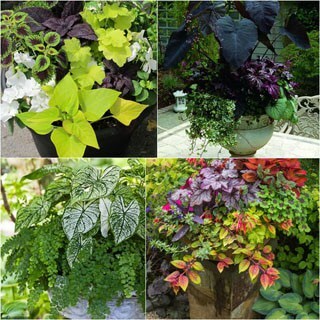 Actually looking for furnitures for my garden and these definitely will help save me money. Off to look for pallets! 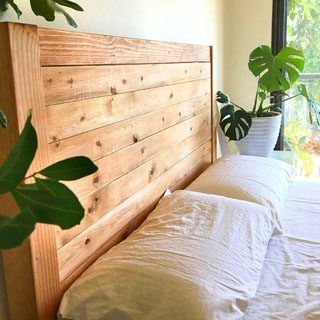 Wow, these are really amazing DIY and it really shows how great pallets can be. 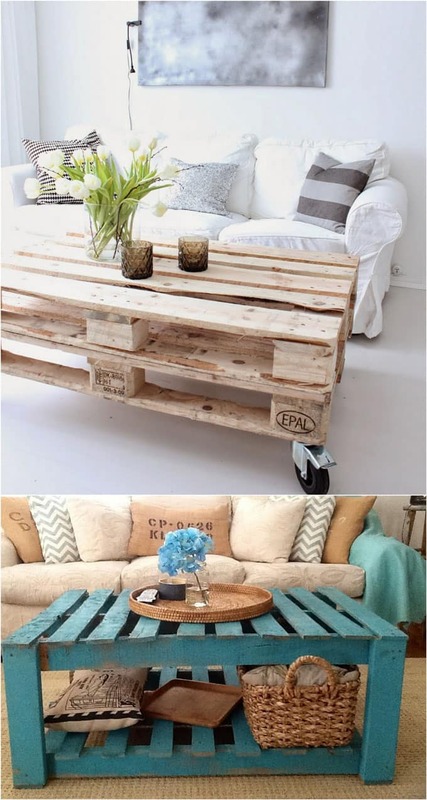 I really love the 5 pallet sofa and 2 pallet coffee table. Amazing looks! I can’t wait to try one of these soon. These are a feast to eyes and as a DIY’er myself, I couldn’t thank you more for sharing these amazing projects. Looks amazing. Have a little woody (if I can say that) feel to it, but I love it. Beautiful pictures! Thanks for sharing. I can’t believe that, this awesome thing is built in only 3 hours. It’s really good project with pallets. I heard about pallet but never work with it. But your amazing sofa attract me a lot. 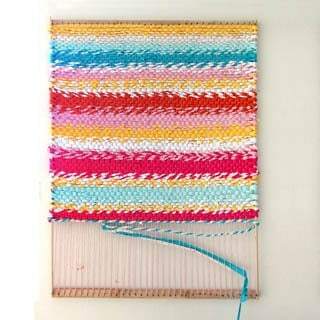 I’m thinking about making one for me. 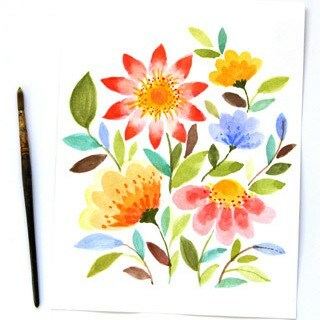 Thank you for sharing your nice work. The DIY sofas are wonderful. Would try this myself on the coming weekend. Got to get the tools… 😀 Thanks for sharing! I loved reading it. Looks Great, all the furniture’s looks super cool, thanks for the share. This is so inspiring! 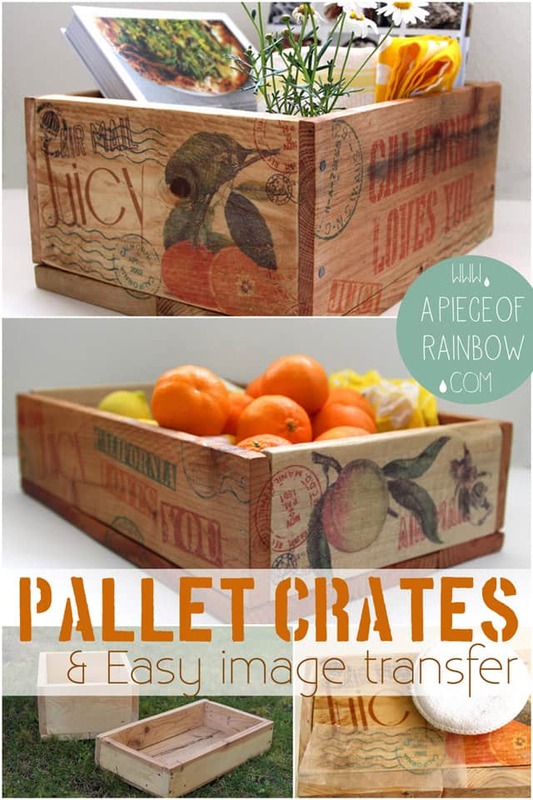 I always love the idea of DIY from old pallet! Thank you for sharing! Such creativity and inspirational. DIY sofas are great :). All images are beautiful. Your post inspires me, it would be helpful for my house decorating.